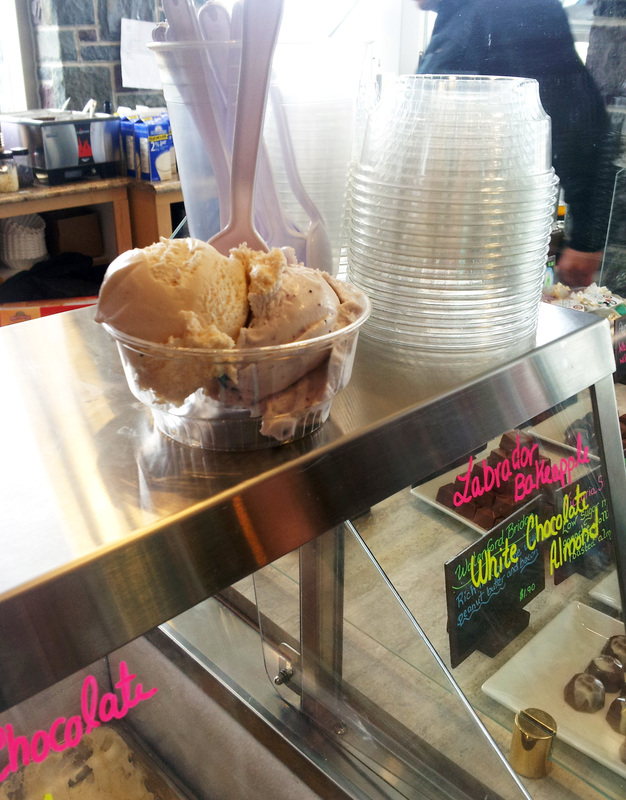 Where else can you try Labrador Bakeapple Gelato?! Remember a few years back when they changed the route you had to take to get to the top of Signal Hill? I didn’t enjoy the change, haha. What if I don’t want to make the detour into the Visitor’s Centre? What if I just really want to get to the top? Now, however, I LOVE this detour. 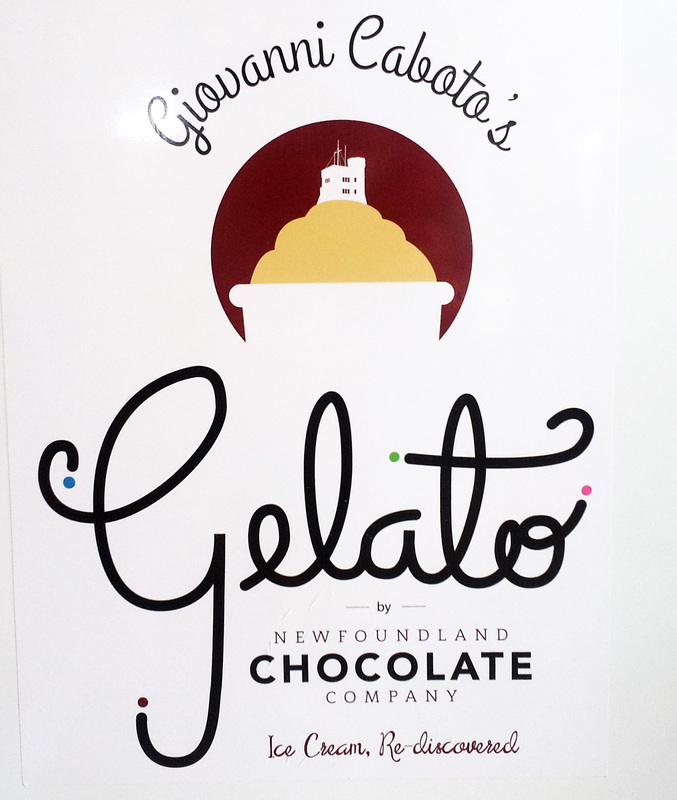 The detour is bloody brilliant–it leads you directly to the brand new Newfoundland Chocolate Cafe, home of Giovanni Caboto’s Gelato! THREE CHEERS FOR THE SIGNAL HILL DETOUR! C’mon, look at this logo. It’s genius. We knew before we even had the first taste that we would love this gelato. Why? 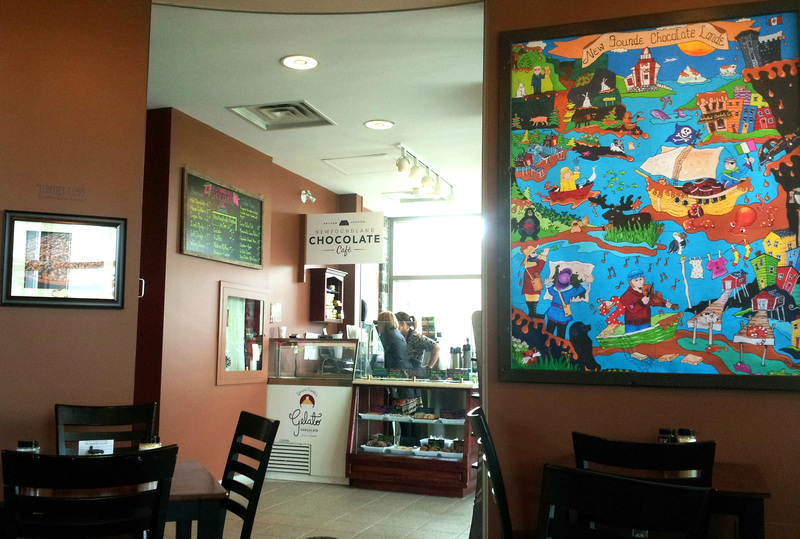 Because we’re in love with Newfoundland Chocolate Company. They’re witty and brilliant and delicious. And local. Proudly local, at that. 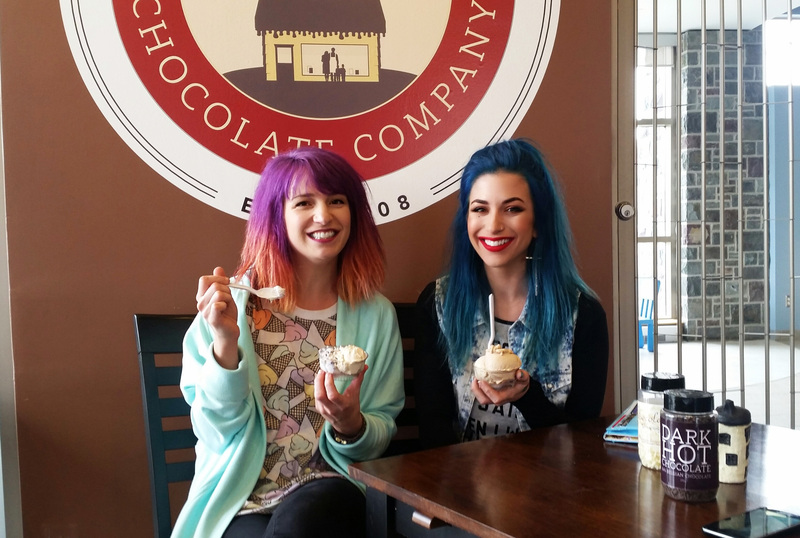 This pride is completely reflected in many of the gelato flavours they’ve created, like Vanilla Caramel with Trinity Sea Salt, Newfoundland Blueberry, and Labrador Bakeapple. Everything we tried was good. (If Pistachio is an option when you visit, get it and tell us how it is, haha. It was completely sold out by the time we got there.) We can’t, however, vouch for the Bakeapple gelato since neither of us tried it. Don’t tell anyone, but we don’t like bakeapples. We know, we know. But have you SMELLED those things when they’re being turned into jam!?!?!?! It’s terrible. Don’t try to tell me they don’t taste like they smell, either. I’ve tasted them a bunch of times, and they taste EXACTLY how they smell, haha. If Nan were alive to read this blog, she’d tell me that’s just “whims” and to stop being so foolish. Fine. Next time I get this gelato I’ll try the Bakeapple one. They serve more than gelato, too. Like paninis! And drinks! And chocolates! Imagine that one. 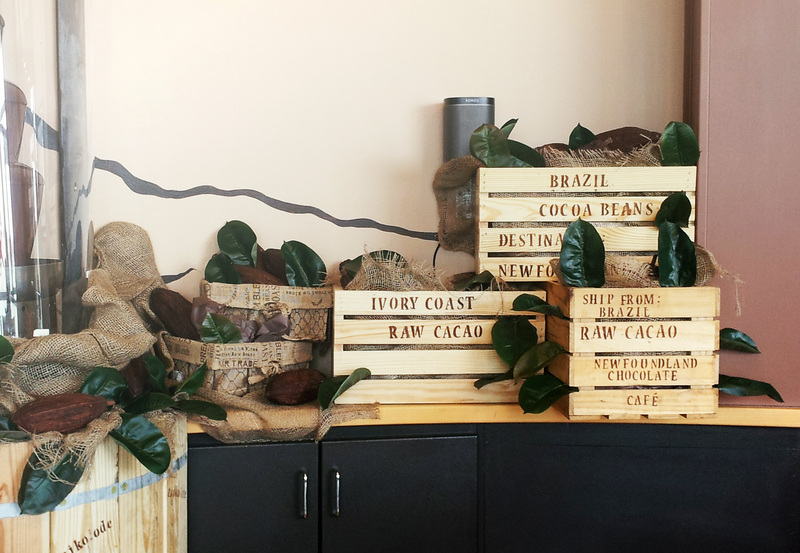 So, next time you’re heading up Signal Hill, this would make a great spot to stop and have a lunch. Especially now that The Battery is closed-ish. (Did anyone else get a thrill out of running around the hallways of The Battery trying to find that indoor pool’s viewing room? Or were our parents the only ones who let their children do that? Haha.) You’ll also find those chocolate bars with the Newfie Sayings on the wrapper. They’re stuffed with caramel on the inside, you can’t go wrong. We even took a bunch of them on our recent trip to Europe and ended up giving them to our roommates as souvenirs of where we’re from. Edible souvenirs are where it’s at. 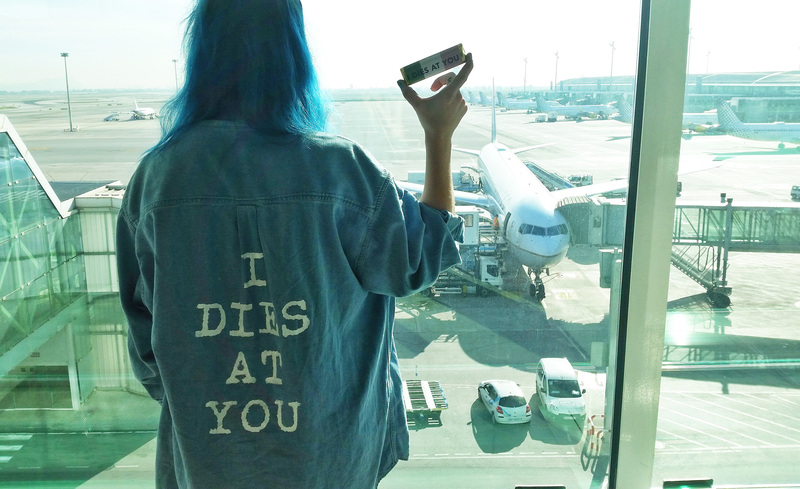 Overheard at our hostel in Barcelona: “That girl’s shirt says I Dies At You…I don’t even think that makes sense!” HAHA. 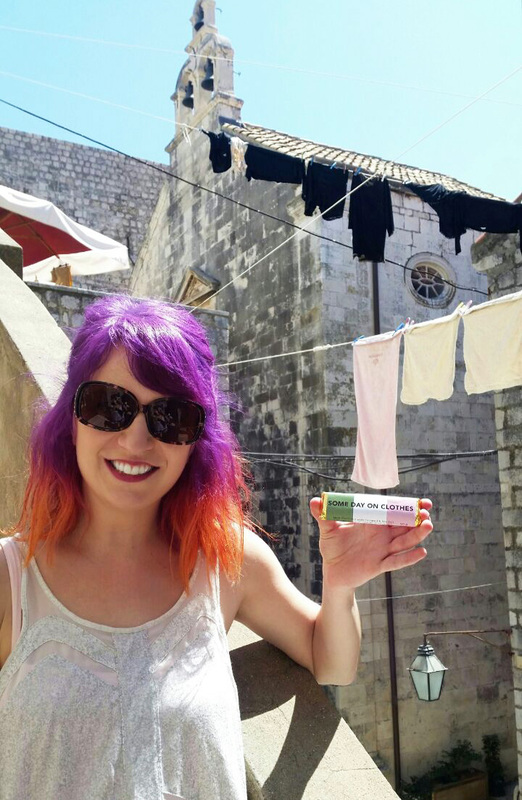 It was literally “Some Day on Clothes” in Dubrovnik. I should probably clarify that I HAVE stopped into the Visitor’s Centre on Signal Hill. Just not every single time I drive up the hill.